Anita Devi is a special educational needs consultant, policy developer, strategist and trainer with experience from early years to postgraduate provision in the UK and overseas. 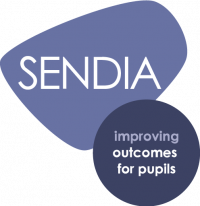 Having been involved in SEND for quite a few years and throughout the SEND Reforms, I’m often asked by SENCOs if I could summarise the SEND Reforms in a single word. The SENCO is uniquely positioned in early years and school-aged learning environments to facilitate healthy dialogues around these principles. 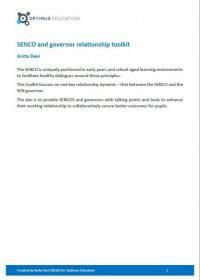 This toolkit focuses on one key relationship dynamic – that between the SENCO and the SEN governor. ​The parts could be read sequentially or individually. Each part has an accompanying action-based resource that could be adapted to different settings.